The Nigerian Army says that troops of 223 Battalion, 1 Brigade Nigerian Army have averted another attack on Dansadau town by suspected cattle rustlers and armed bandits yesterday Wednesday 4th May 2016. The troops who were on patrol were alerted by well meaning individuals on seeing the bandits. Acting Director Army Public Relations, Col. Sani Kukasheka Usman stated this in a press release. He said the patrol team laid an ambush for the suspected cattle rustlers and armed bandits who came in large numbers on motorcycles fully armed. It was gathered that they were enroute Ruwan Tofa and Babban Doka Villages in Dansadau District of Maru Local Government Area, Zamfara State to wreck havoc on the hapless innocents of those communities. According to him, the troops killed 18 and wounded several armed bandits. 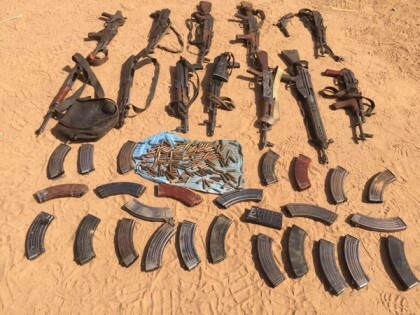 Col. Usman said they also recovered 11 AK-47 rifles, 1 G3 rifles, 1 locally made pistol, 11 magazines of AK-47 rifle, a magazine of G3 rifle and 161 rounds of 7.62mm (Special) ammunitions. 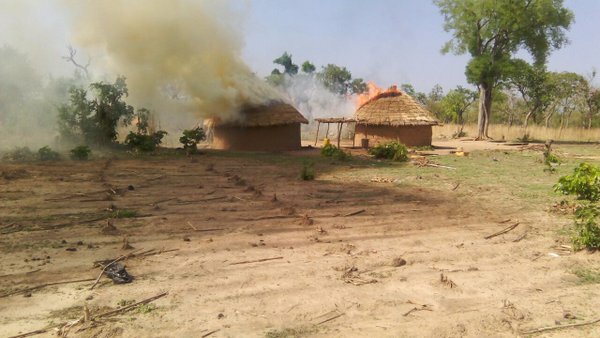 He said the troops went further and destroyed the bandits’ camp at Babban Doka general area. “They are also combing the area for the remnants of the bandits and all those that escaped with gunshot wounds in the general area. We would like to appeal to the public to continue to assist with information on cattle rustlers, armed bandits and other criminal elements in their areas.” He concluded.